Double Seated Bloomer. Elastic Waist and legs. 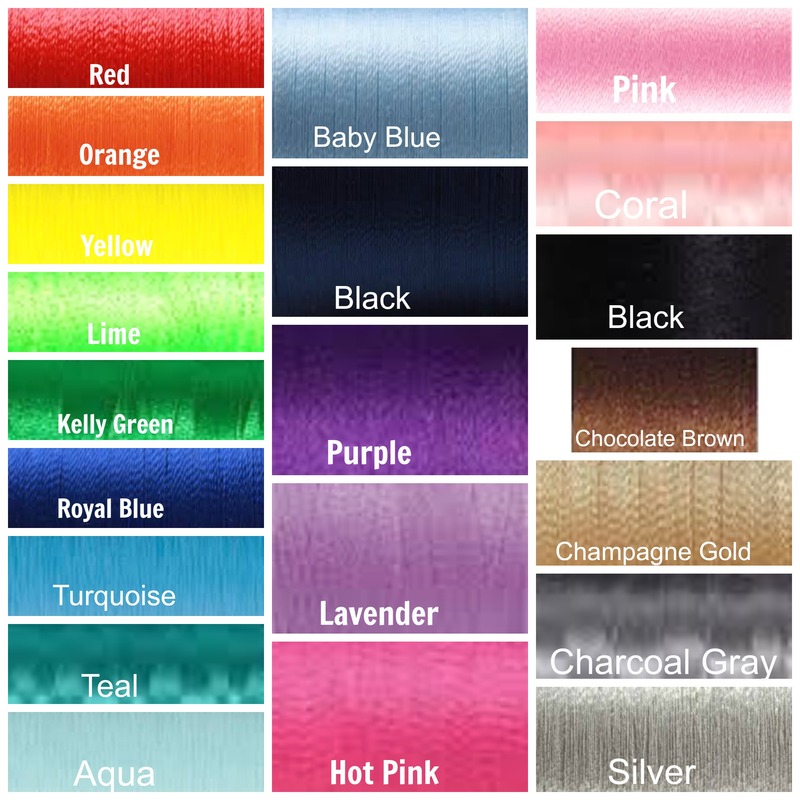 Eyelet Lace Trim. SKU: N/A. 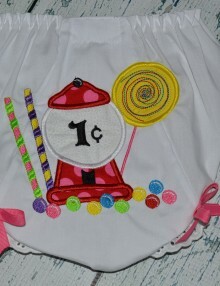 Categories: Accessories, Bloomers. 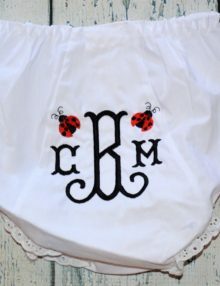 Tags: monogram bloomer, personalized bloomer, summer. 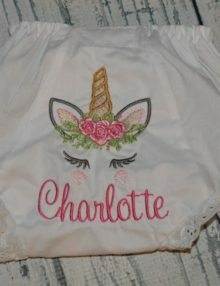 Personalized Infant Bloomers – All That Jazz Font is a sweet pair of bloomers personalized in the All That Jazz font. 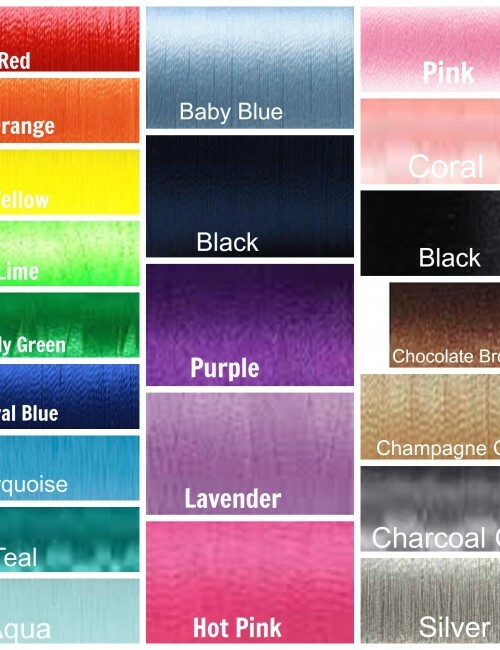 You can choose one color for the background initial and one color for the name from the color chart. 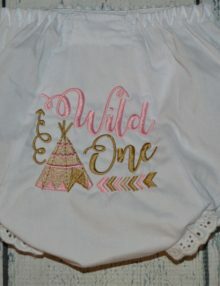 Please list the first name to personalize the bloomers as well as the two colors of your choice in the notes during checkout.